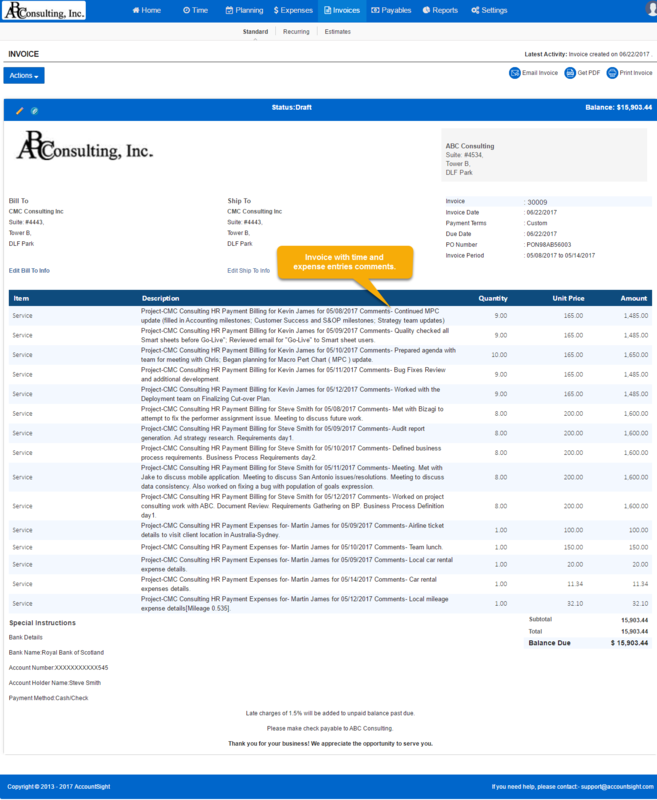 AccountSight's time and expense billing software offers fast and accurate invoicing options to its customers. Once all the billable hours are submitted and approved for a particular time period, the Project Manager can generate invoices. 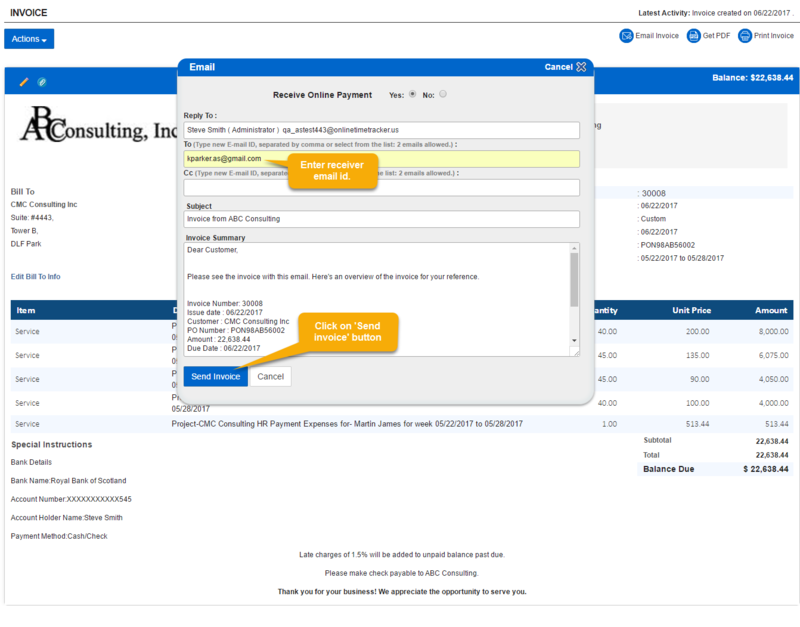 There are different types of invoices that can be generated. 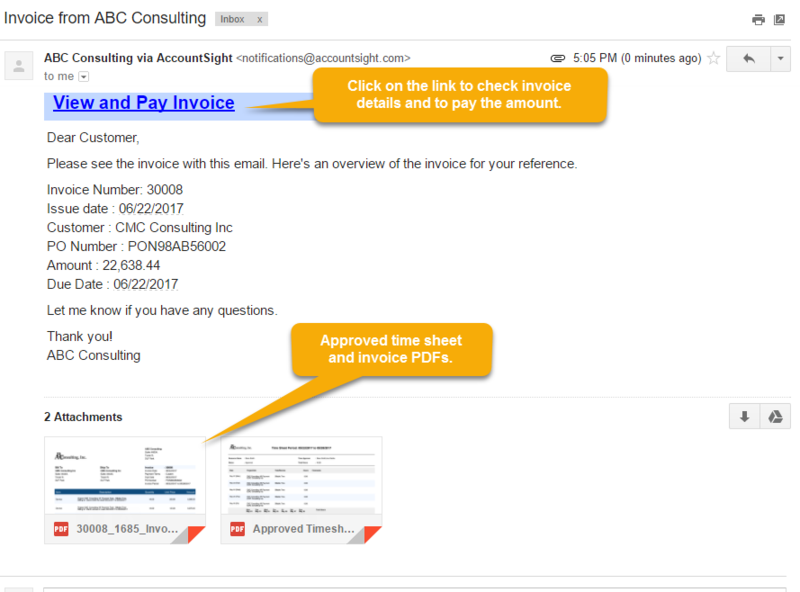 AccountSight also has a simple way of communicating with clients to deliver invoices and receive payments. The most common types of Invoices are the ones generated based on the timesheets and expenses recorded by the employees during the project period. 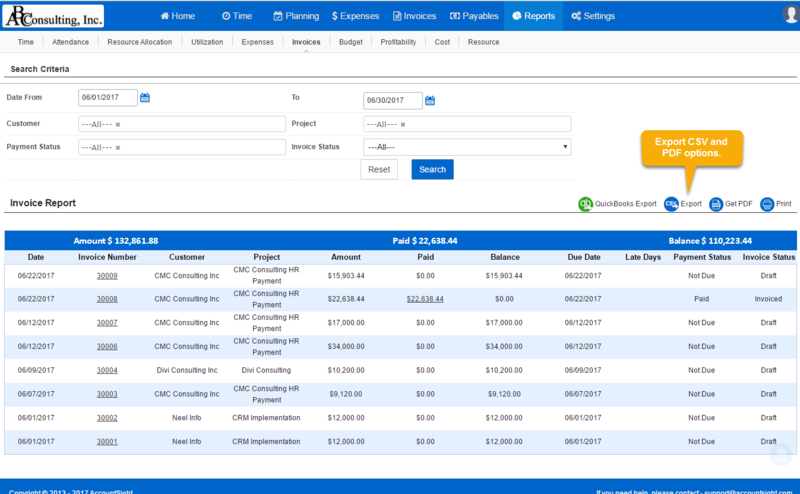 Similar to Manual Invoices, the Project Manager can create Time and Expense based Invoices in a few simple steps. 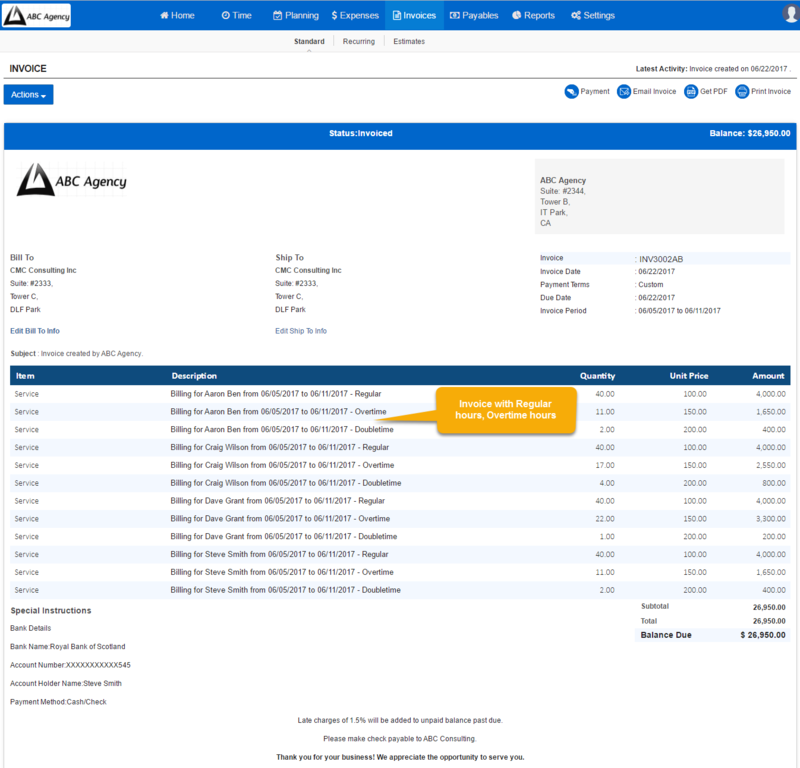 1] Logged in as Admin or Project Manager, go to the Invoices tab. 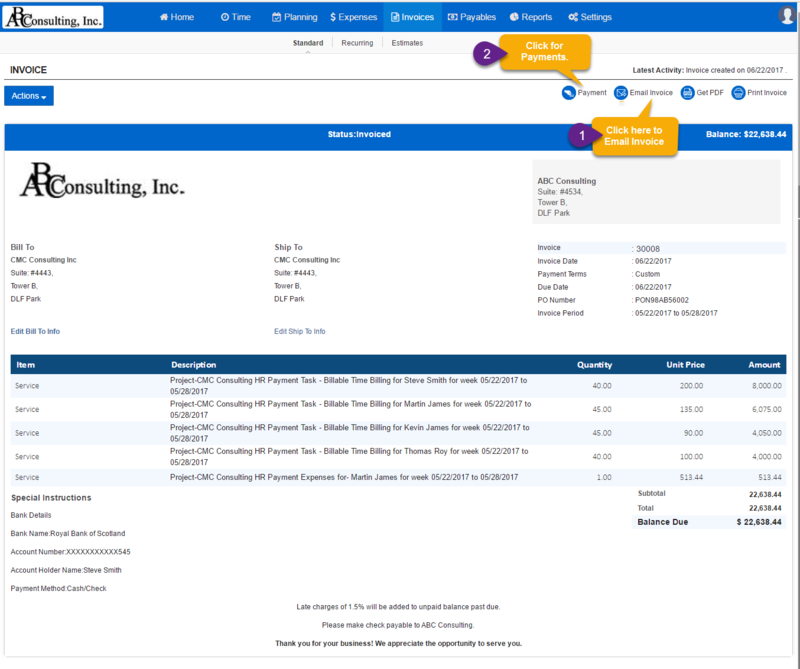 3] Click on the Create Invoice button. 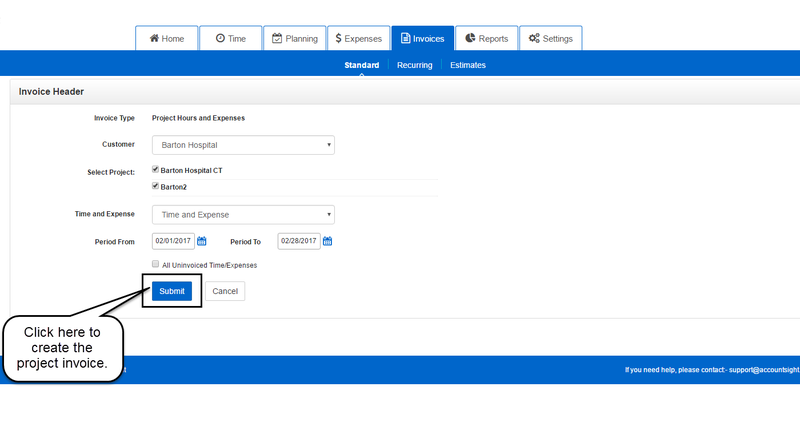 4] Select the radio button beside Project Hours and Expenses. Select the Customer and Project(s). Select Time or Expenses or both as per requirement. Also, select the Time Period for which you want to create the invoice. Click on Submit. 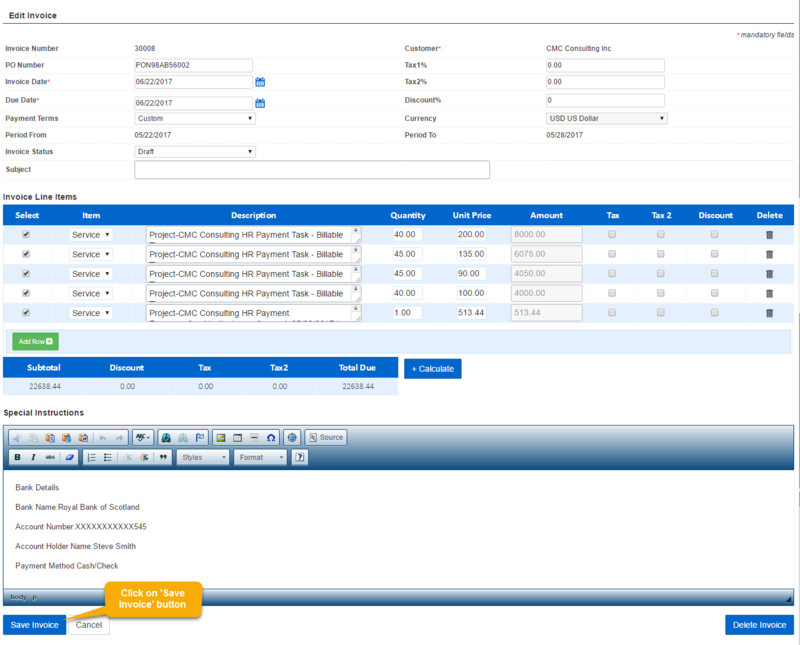 5] Fill in the basic Invoice Details. Select the product or service that you are charging for and other Invoice Line Details. Click on Add Row to add a new product or service. Click on the Calculate button to find out the total bill. You can enter any important comments in the Special Instruction field. 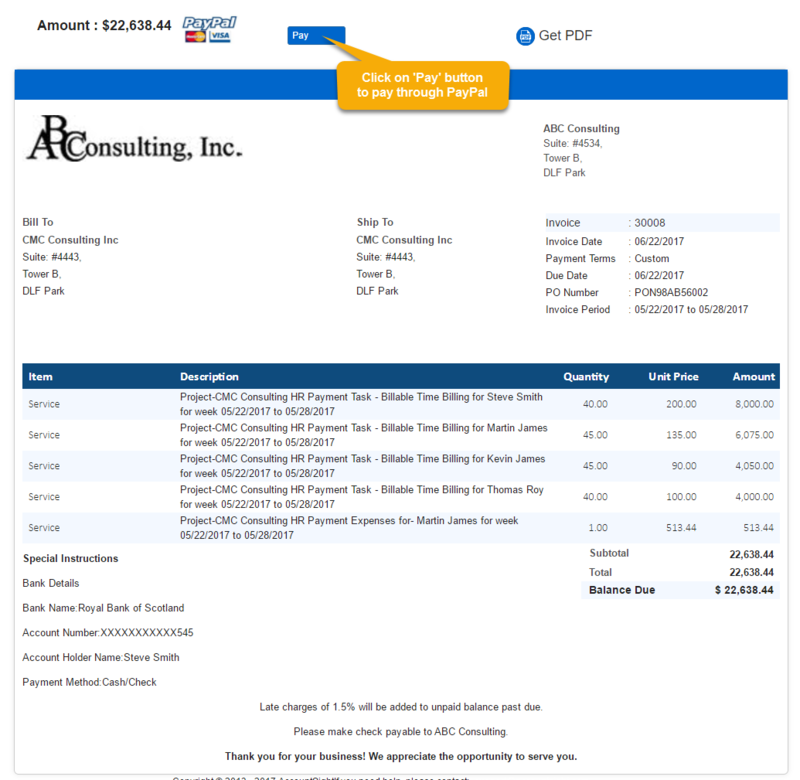 6] Click on Save Invoice to create the invoice.